I first spotted just one of these male jumping spiders. As I prepared to take some photos, it became aware of another male nearby. They approached one another and were obviously sizing each other up in preparation for a fight. Neither backed down, and so the fight was on. 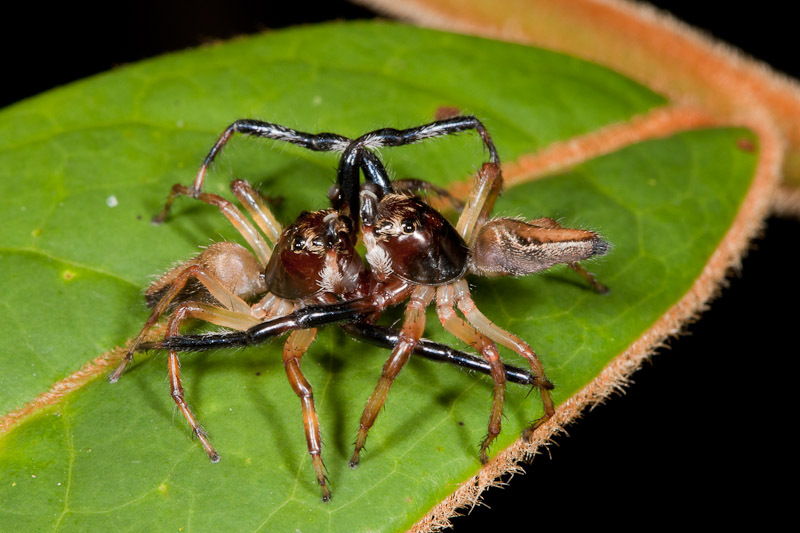 I like how they raise their pedipalps like boxing gloves. Or maybe that’s just to keep them away from the others fangs? Which would you bet wins this bout? According to the timestamps on my images, they fought for around seven minutes. It looked like the object was simply to dislodge the opponent and send them tumbling away. 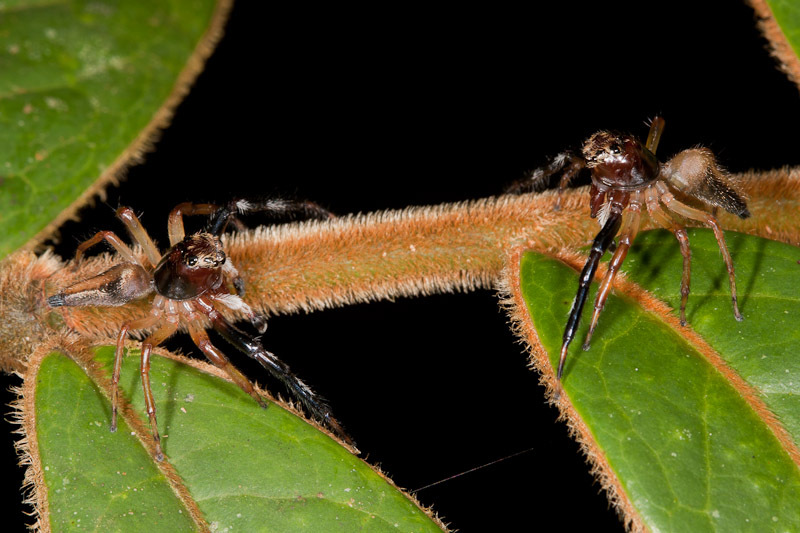 You can see how they are using their long front legs to try and grab the other’s hind legs and pull them out from beneath each other. 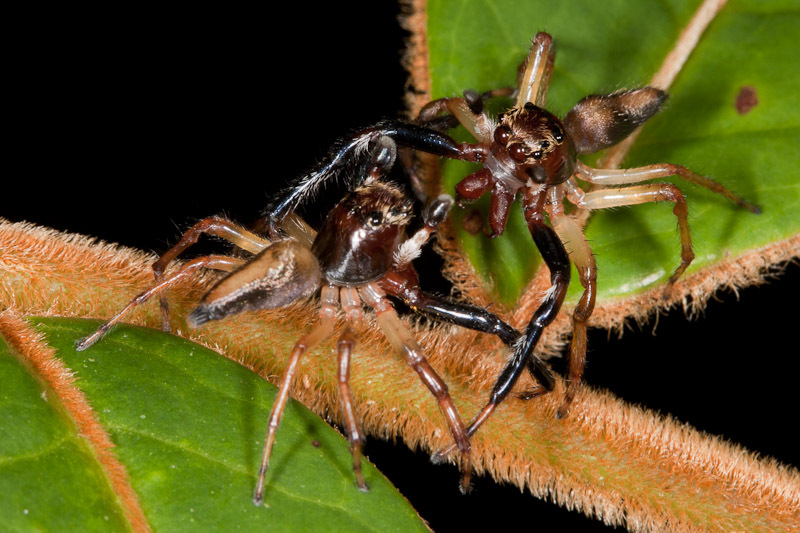 This is the knockout shot, as the one on the left has succeeded in grabbing the right one’s hind leg and right after pushed it off the leaf. Great behavioral sequence. The last photo is exceptional. Glad to see you’re blogging!